At Plaza North Dentistry, we understand how traumatic tooth loss can be. 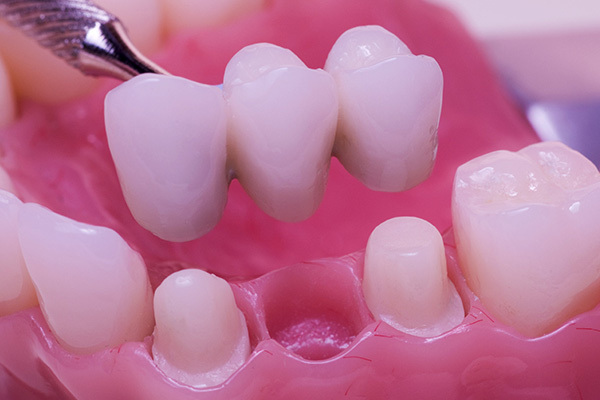 We also realize the critical nature of replacing teeth quickly with a secure and durable solution. We can offer you both and encourage you to call (407) 337-1112 to learn more about our solutions. As a Altamonte Springs dentist office, we use modern and innovative treatments to help give you back the full functionality and appearance of your smile. One of these is TeethXpress®. This is a way to fully replace your teeth. It combines the ease and convenience of a full set of dentures with the durability and security of dental implants. However, this is an immediate load solution so our Altamonte Springs patients can receive their replacement teeth much faster than if they came in for individual dental implants. It is truly an exciting time in the world of dental implants. With the advent of TeethXpress® as an immediate load solution, you can now visit our Altamonte Springs dentist to have a personalized treatment plan created just for you. Then, at Plaza North Dentistry, we can schedule your procedure right away. During the procedure, we will install 4 to 6 implants surgically. In this way, the process begins much the same way as it would when receiving a standard dental implant. We will secure a titanium post to your jaw and then attach your dentures to the posts. The difference is that since TeethXpress® is an immediate load solution, the procedure typically takes one day and is normally done under local anesthesia. We will then either use your existing dentures or a new set created prior to the procedure. By simply attaching them to the implants, we are giving you a beautiful and complete smile that will remain securely in place. You can walk out of our office in one day with brand-new implants in the form of the TeethExpress® solution. This gives you the opportunity to have fantastic new teeth that look and feel exactly like your natural teeth without having to wait for weeks and weeks and without going through painful procedures. Many of our patients also want to know how long it takes to recover after the procedure. At Plaza North Dentistry, we believe that one of the amazing things about this solution is that it can typically be placed in a single day and done under local anesthesia. 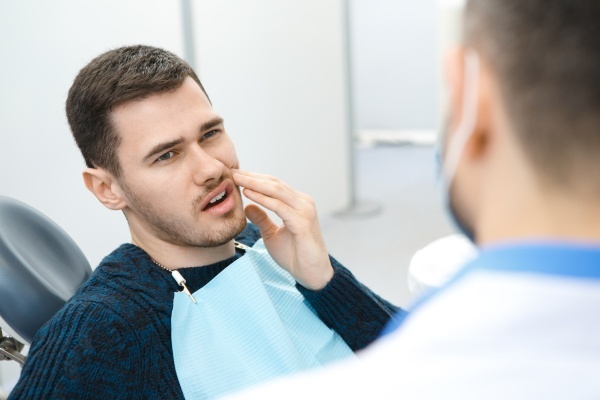 This means that you will not have a long recovery time, nor will you have to wait for hours at our dentist office while your teeth get better. There is going to be some discomfort from the TeethExpress® procedure but it is usually minor and temporary. We may prescribe some painkillers but most of the time the discomfort can be managed with ibuprofen and an icepack. We also recommend that you eat a soft diet during the initial healing phase which often lasts about 2 weeks. 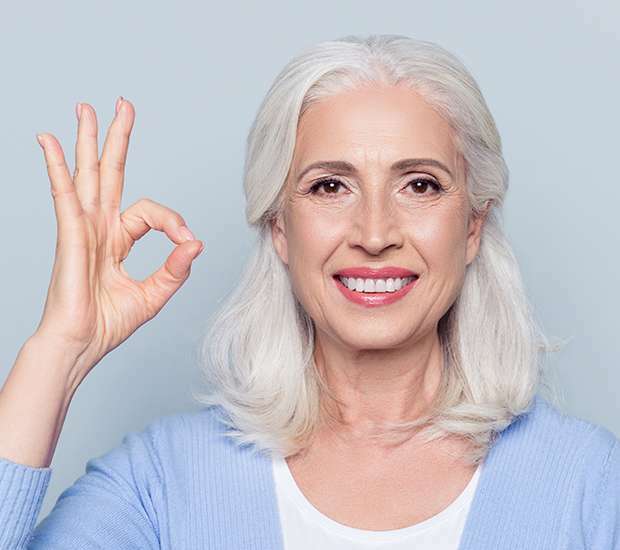 To learn more about TeethXpress® or to start the journey of replacing your dentures, call 407-337-1112 and schedule an appointment with our Altamonte Springs, FL dental office. At Plaza North Dentistry, we can restore your smile, give you back your confidence and the ability to enjoy all of your favorite foods again.